← evo continues to be an egocentric autocrat, he cares little about the health system in Bolivia! Bolivian physicians are NOT alone, public transport drivers can also be found guilty! Bolivian Thoughts opinion: Over 36 days of the strike and slowly, but steadily other sectors begin to acknowledge the danger of this absurd government’s norm! 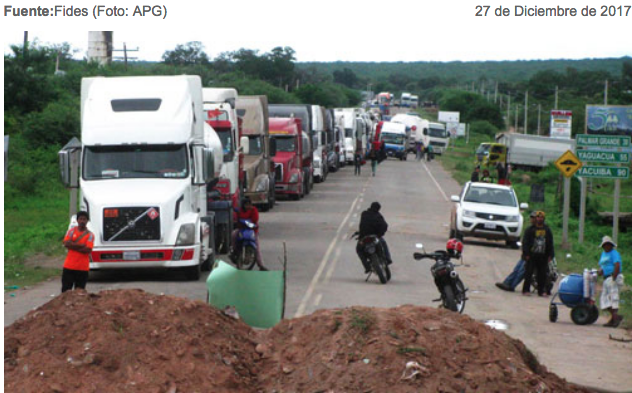 The National Heavy Transport determined to begin a strike with roadblocks from January 2 as a way to reject articles 137 and 205 of the Criminal System Code (CSP), informed the national sector leader Gustavo Salinas today. “On Thursday we have a national extension of all transport sectors, both cargo and passengers and there we will communicate our decision to enter an indefinite blockade and stoppage since January 2 in rejection of articles 137 and 205 of the Penal Code System, which considers all transport drivers as murderers,” said the representative of heavy transport. The carrier added “with this law no one will want to drive a transport either passengers or cargo, because nobody defines when there is an accident, but for the standard there is already a culprit”. With similar criteria, the Andean Transport Federation of El Alto, through its leader Víctor Tarqui, announced that it will take the national extension to the position of rejection of article 137 of the Criminal System Code and the adoption of a national strike immediately. This entry was posted in Bolivia, Business, Politics, Social Unrest and tagged demagogue, democracy in peril, government failures, public policy failures. Bookmark the permalink.